We are manufacturer and supplier of louver glass since 1996 and are able to offer high quality products, competitive price and satisfying service. We have our own louver glass factory, supply ability, factory price and delivery time can be guaranteed. 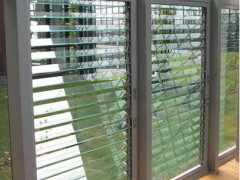 Our louver glass has been exported to African, Oceanian, South American etc.